Lots of people love Korea. Lots of people with not much money to travel love Korea. Korea, perhaps more than any other nation, deliberately markets itself, its people and its culture to the world. That marketing has profound effects: namely it makes people want to go to Korea often for reasons they cannot quite articulate. But that is the nebulous nature of culture - we know what it is, until we are asked to define it. And so it is with Korean culture. But if you find yourself, after stumbling across some K-pop or a Korean television channel or you just happen to be dragged along to Korean BBQ one night - to become fascinated by this nation you might begin to understand the fuss. 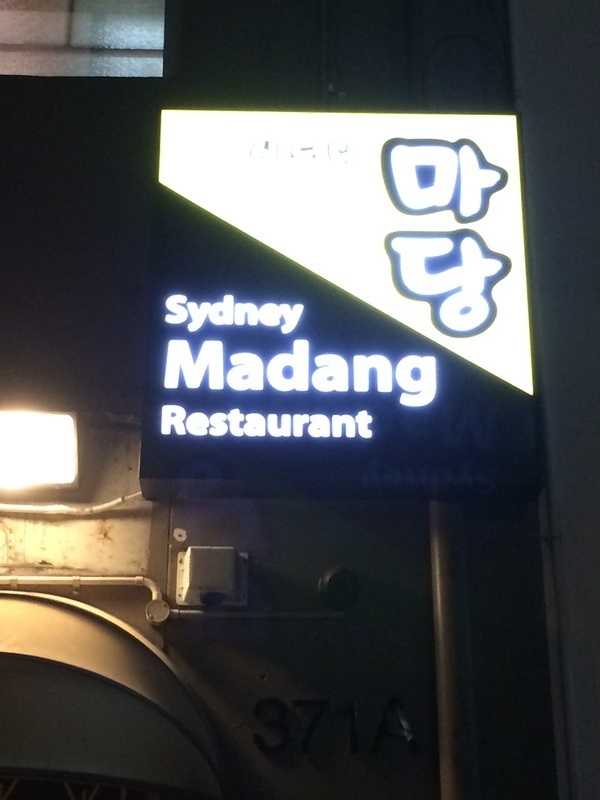 You might begin to wonder: how can I taste Korea right here in Sydney? Help is at hand. You can spend months exploring Korean culture in Sydney and still stumble across new places. These are the places we've been to - and (typically!) loved. There's a heavy emphasis on BBQ joints - these are our favorites. But if you're having a "Staycation" as a Sydney-sider or you just happen to be visiting and you're a fellow "Koreaphile" then hopefully you can find more than a few ideas to fill your nights...and days. It's not exactly Seoul (or Busan...or even Suwon for that matter) - but if you can't get yourself to Incheon then this is a nice way to have lots of the culture...if none of the sights. Noraebang (i.e: Karoke). 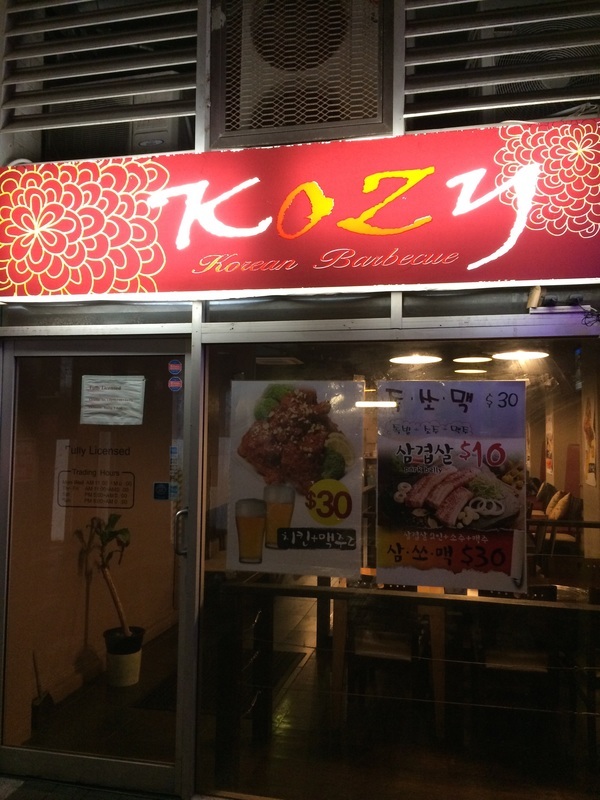 There's more than one specifically Korean place to sing yourself hoarse. The Korean Cultural Office always have events happening. It's a big place and it's the Korean Governments Official "soft diplomacy" capital in Australia. Right opposite Hyde Park. Convenience stores. Okay - this seems a strange suggestion. But if you like Korean Culture you're going to love Korean convenience stores for food (kimchi and ramen and all the frozen meats!) and the Korean snacks. Oh and hangover drinks. But let's get to the (BBQ'd) meat of the matter. 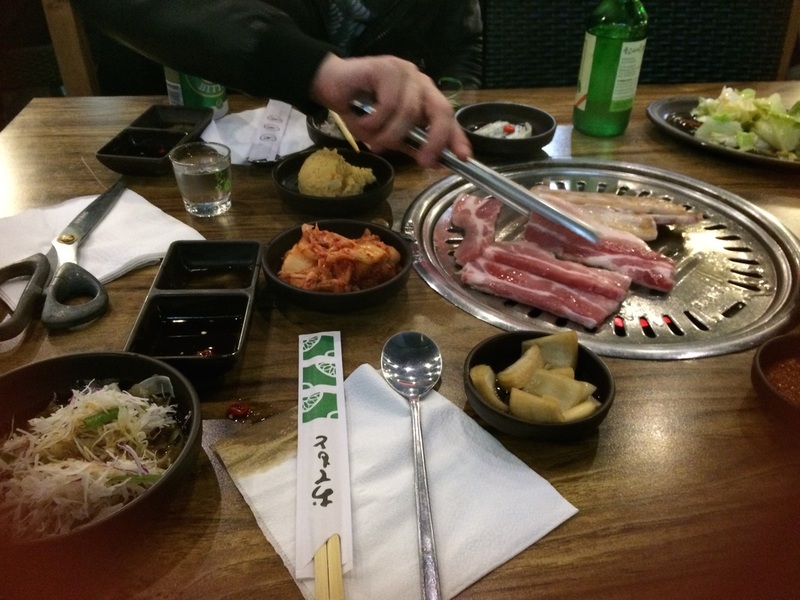 Here begin our reviews of Korean Restaurants...for this is by far the best way to experience Korea in Sydney. I've long since learned to ignore everything I've heard or read about restaurant service. A bad review in a restaurant guide or on a site like "eatability" or whatever is all but useless. We've been to each of these places more than once. In some cases (678/BBQ city/O Bal tan/etc) around a dozen times each. Sometimes you get a tired waiter. Sometimes there's chaos in the kitchen...stuff happens. One can't extrapolate a single bad experience so we're not going to and so there's no rating for service. Sometimes we've waited for service and received the wrong stuff (in one case, the wrong bill) - but so what? We've never had consistently bad service from any of these places. Service is typically very good-from all places. Where it's outstanding - we say so. Sometimes service is a function of price (you pay a premium at Dangee: what you lose in atmosphere you gain somewhat in "a nice place to take your nan" and the staff are extremely attentive). Weirdly - in an otherwise relaxed BBQ place extra attentiveness can actually be an annoying distraction. This is a concept intimately wound up with "service" above. Koreans move fast. They work hard and get the job done. So you can feel rushed if you are not used to this culture. Of course in Sydney you perhaps shouldn't feel rushed. In Sydney the Koreans need to meet you halfway. Sometimes you want to be in and out quick but sometimes you want to savour that meat. Balli-balli and "take it easy mate" can be a culture clash. Don't be shy to tell them to slow down. They really won't mind. Variety is basically the main factor here. Refills - frequency of offer. Banchan is 'free' (i.e: it just arrives, included in the cost of whatever you buy). This is the primary banchan. It's also very much the flagship food of the nation. A taste we acquired long ago, some might never turn on to it. The difference in taste is notable. In Seoul there even exists a Kimchi Museum. Korea is the home of Samsung, LG and K-pop. If you can't have good music and clips on in the background you're not trying as a Korean restaurant. And what's the crowd like? Is someone breaking a NSW regulation about smoking in an undercover area? Fantastic! Dangee in the alley that is Albion place near the cinemas off George St, is an "upper class" establishment where great service is prioritized. These guys likely pay their staff a little more and the atmosphere they create is very zen. Except it's not - because this is Korea, not Japan, and their "Zen" Buddhists are known as "Seon". Dangee is a place to take your older relative to Korean or someone who might not be quite ready for the culture shock. It's quiet, but the most sophisticated of the Korean restaurants in Sydney. Expect to pay a little more for higher quality surroundings, service and chefs. This place is hard to compare to the other restaurants on this list because the atmosphere is so different. A sentimental favorite-this is the first BBQ place we went to in Sydney. 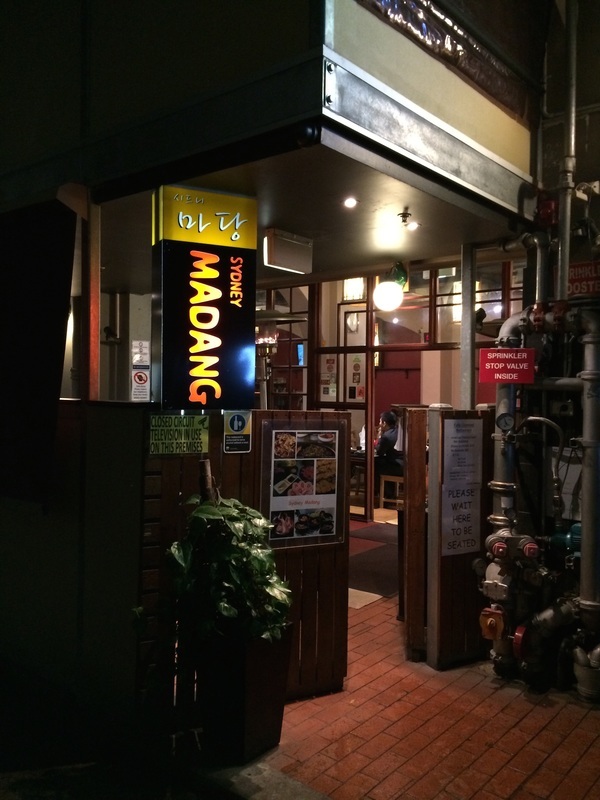 Down a laneway, off Pitt St, in the heart of Korea town and next to the more famous "Madang" (see below), O Bal Tan is busy, warm and traditional. One thing I love: they have big "combinations" including our favorite "Combination C" which will set you back around $80 but is more than enough for 2 (maybe 3) people to eat their fill of beef, pork, chicken and seafood. Of course: practically unlimited, complimentary banchan to 'freshen the palette' between each meat course means you won't go hungry. Get a table downstairs if you've got a small, younger crowd. Upstairs for a family meal. Right next door and, among Westerners, perhaps the most well known in Sydney due to its numerous appearances over the years on Aussie television travel shows. 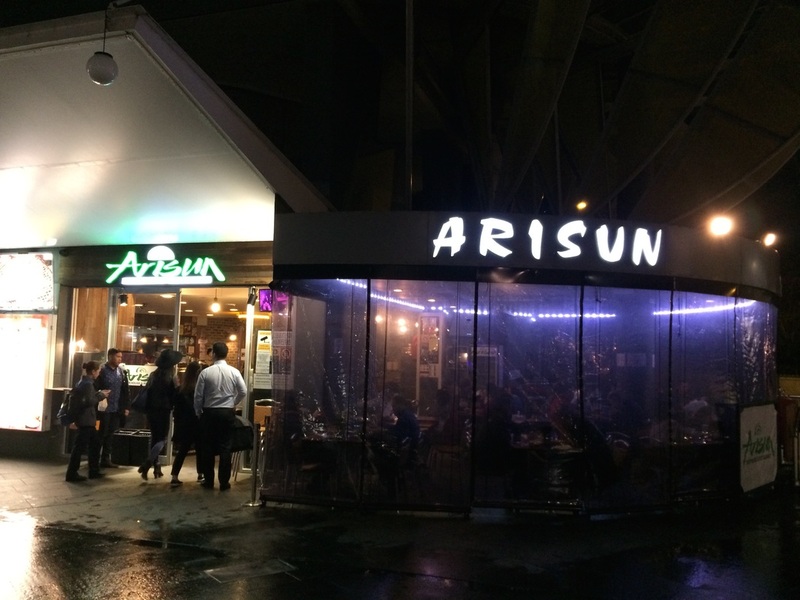 It's appeared in papers in numerous reviews so it's got a name among "foodies" who, perhaps, don't know any better when it comes to Korean food in Sydney. Not to say it's bad by any stretch - indeed the opposite: this place is great, if on the expensive side. I still prefer O bal tan right next door (see above) for the atmosphere...but Madang is a good place to take your mum. Less noisy, less smokey. More "sit down restauranty". The workhorse of Korean BBQ and best all rounder. 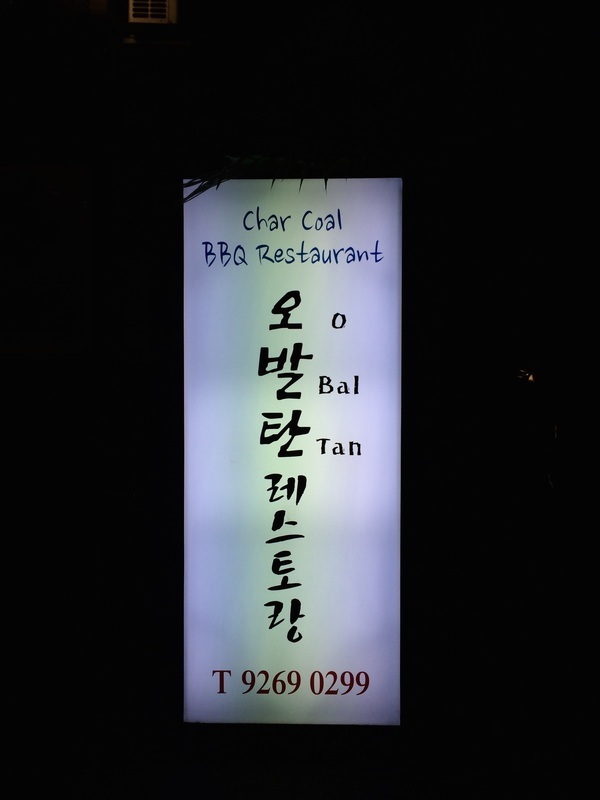 Open til late with the broadest range of dishes in Sydney and right below "Gangnam Style Karaoke" if you feel like "norebang" after your meal for the full Korean experience. Moderate price. Soju: $12 (Chaimisul). Staff are friendly - but very busy - because this place can get crowded. Lettuce Kimchi is a black mark against what is otherwise the best Korean BBQ buffet in the CBD of Sydney. Shinara is not solely a buffet and the soups can be great on a cold night...or "the morning after". This is a nice little family run establishment with a very friendly owner and they offer excellent specials. 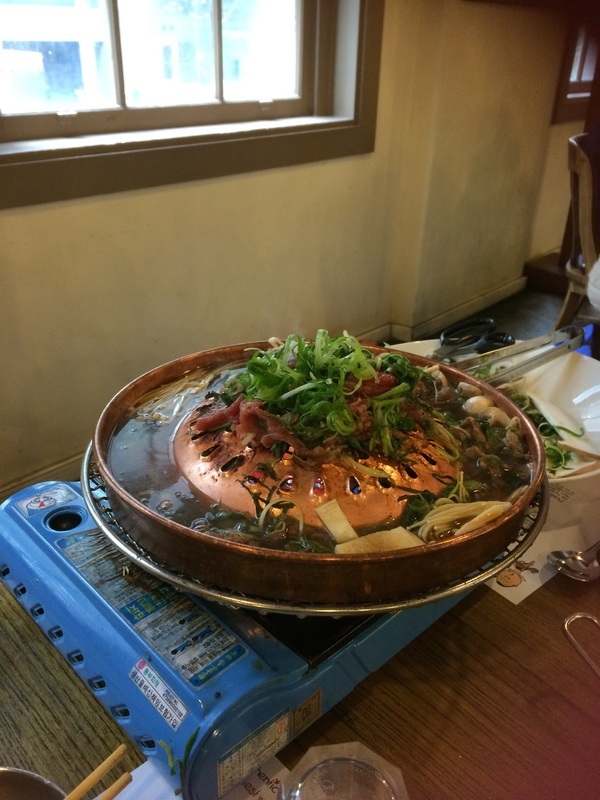 Like Yang San Park (see below) you can get away with a big meal for under $50 for a couple - alcohol included. Now on some nights, with the specials, we've been provided with frozen (not fresh!) pork. We're not sure if this is because they'd run out of the good stuff, or if it's standard. Great little place with the option of buffet at certain times. A bit rowdy later at night: in a good way! It's cheaper and popular with Koreans who like a drink away from Westerners down the far end of China Town just before the overpass to Darling Harbour. 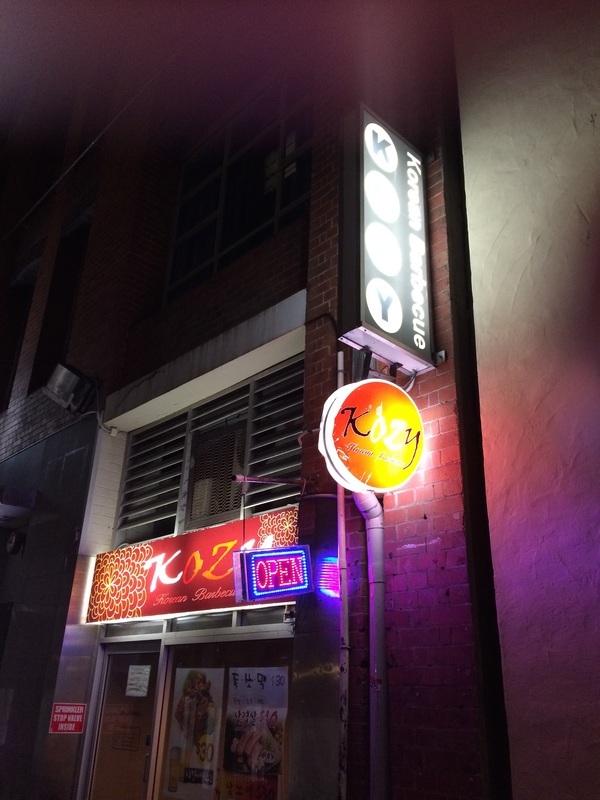 The first Korean restaurant in Sydney's CBD. This place has prime position overlooking George St - so get a window seat if you can. It's typically very busy (only outdone on this count by 678 - see above). 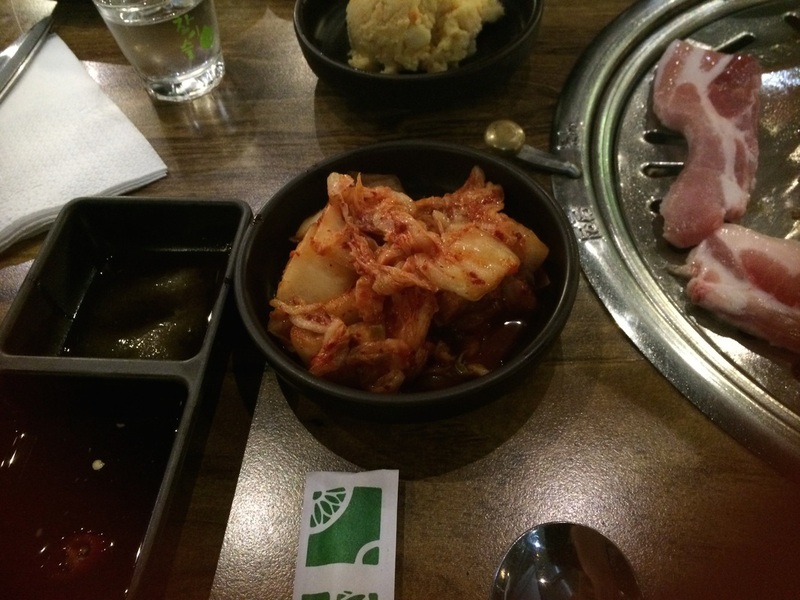 Their banchan is presented really well and they have lots of staff, but it's still bustling. On the more costly side (perhaps this is something to do with the rent?) expect to pay around $80 for a couple with drinks. Cheap, fast but great quality. It's alfresco so you can watch the world wandering between Darling Harbour and ChinaTown. You'll eat for under $60 (and that's with a couple of drinks)...probably the cheapest soju at a restaurant you will find (and my favorite: "GoodDay" at $11). A can of VB is just $5 which I think is the cheapest beer around. The pork is sometimes frozen not fresh, but for the price I won't hold that against them. Lots of good kimchi, scant on the lettuce for wraps and they provide garlic which I find essential. Not much in the way of screens...though they do have them...no music is playing. The Balli-Balli is through the roof here. Sparrow's Mill sells "Incredible Chicken" which is the most delicious (and expensive) fried Korean chicken available in Sydney. You can get exactly the same excellent stuff out at Strathfield Sports Club (yes really-see below) with your schooner of Carlton Draft. Sparrow's Mill is always busy - frequently with a line up out the front. This is as much bar as it is restaurant. Brand new, it has the best screen-to-table ratio (yes, we care about screens, alright?!) and they play good k-pop. You can order a little food (or a lot) and just drink in the company of the local Koreans. Probably the best Korean Buffet in the wider Sydney area. This is Strathfield Sport's Club's bistro. A perfect meshing of Aussie and Korean culture. You can go and watch the NRL - or whatever else happens to be playing on the screens - over the best Korean fried chicken in Sydney (or a hot pot). It's probably the only "Aussie" club around that sells Soju (at $15 a bottle - a little steep for a pub). 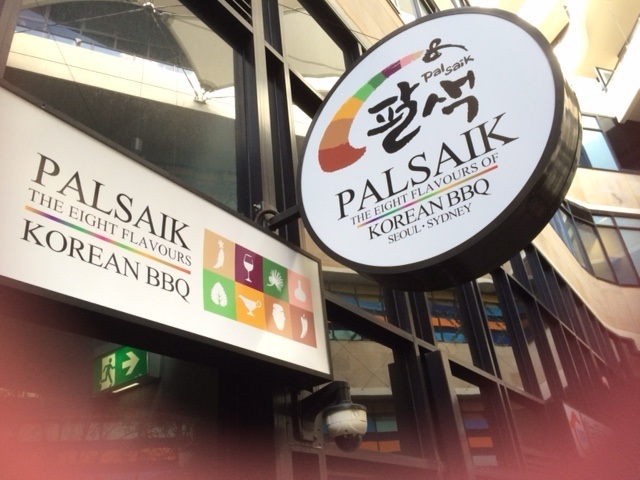 Palsaik was a relatively recent discovery by us; a hidden gem walkable distance from Central Station essentially opposite the Capitol Theatre. Their $59 pork set (see photos below) is an absolutely excellent deal and will easily feed 3 people. Drinks are similar in price to elsewhere and the atmosphere is understated. There are no screens but they typically play reasonable music. It's now become a toss-up for us as to which we prefer for a Friday night: the more famous 678 or this new place which is the king of pork? !